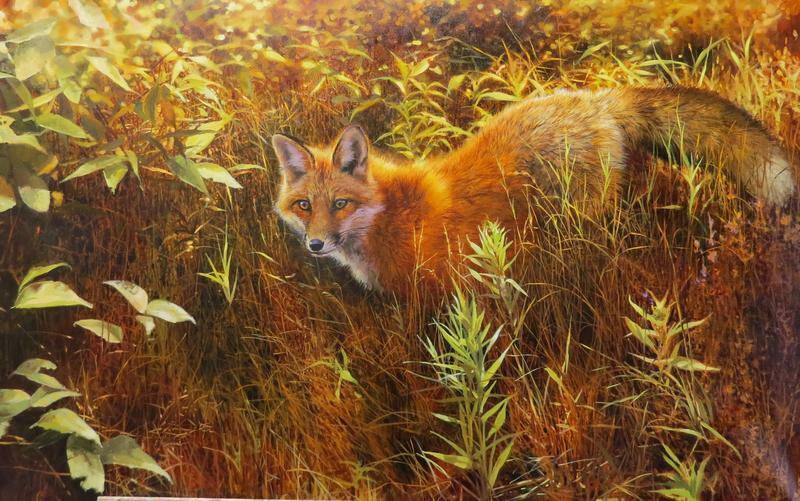 Trailside Galleries is pleased to present its annual “Wildlife Discovery”, exhibition and sale featuring all new works from an outstanding group of nationally known artists who are inspired to paint all things wild! Jackson is the perfect setting for this show as the area is a virtual Mecca for wildlife enthusiasts including photographers, nature buffs and of course, wildlife artists! Many of the country’s most noted wildlife painters will participate in the event, bringing an eclectic mixture of wildlife and natural subjects from around the world including big game animals from the African savannah, North American mammals, as well as delicate birds and aquatic subjects. While the artists each bring their own unique interpretation of animals to their canvas, they all share a deep commitment to the preservation of wildlife and our natural world. Participating artists include Bonnie Marris, Jan Martin McGuire, James Morgan, Ralph Oberg, Lindsay Scott, Renso Tamse, Adam Smith, Lori Forest, Sarah Woods and Dustin Van Wechel among others. 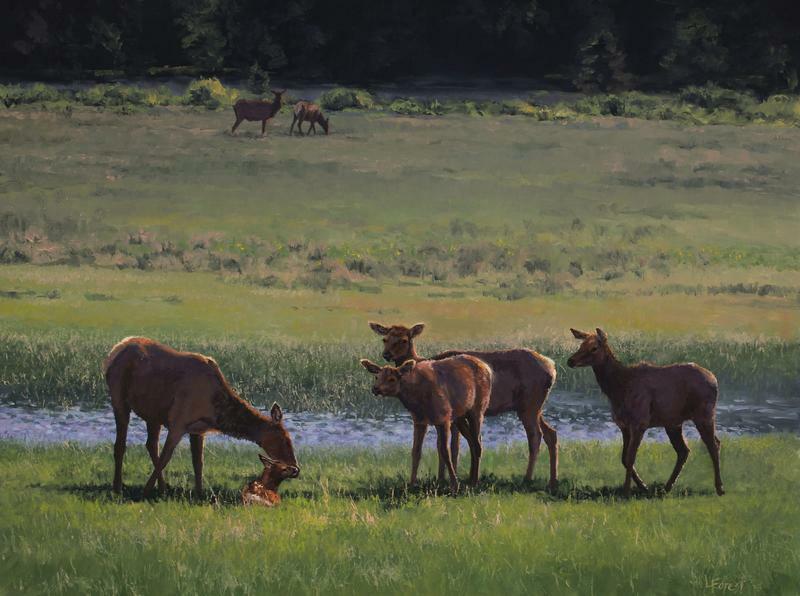 Wildlife art continues to be one of the most collected genres of art in the country. 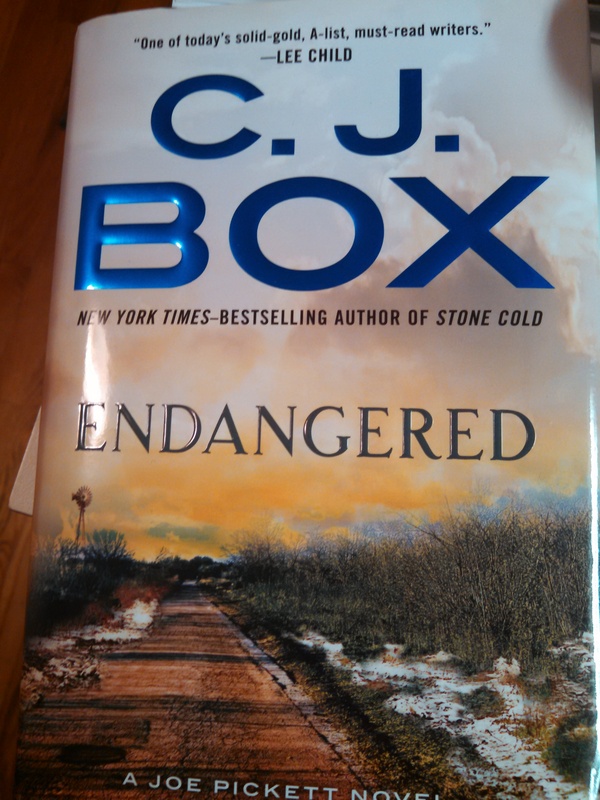 Given the heightened awareness of global warming and fragile ecosystems, the genre seems to have taken on a whole new dimension, as the artists strive not only to create an esthetically pleasing image, but to have it serve as an educational tool to bring more awareness to preservation. Sagebrush Art Center is pleased to present an exhibition of paintings by Aaron Wuerker of Buffalo, WY. “Aaron Wuerker: Recent Landscapes,” will hang March 3-31 in the Sagebrush Community Art Center’s Invitational Gallery, located in the Historic train depot at 201 E. 5th St. in Sheridan. The public is invited to attend the Artist’s Reception on March 6th, from 5-7 PM. Hours for the Sagebrush Community Art Center are Tuesday through Saturday, 10-5 PM. 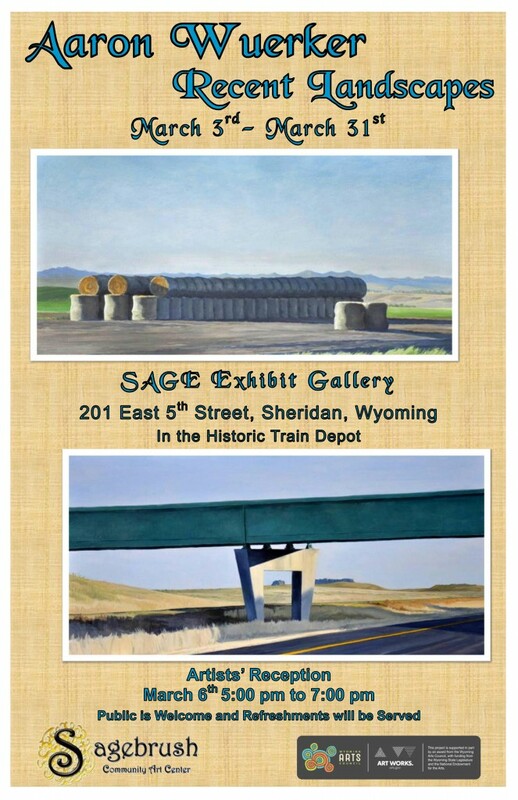 See our updated website at www.artinsheridan.com, or find us on Facebook at www.facebook.com/Sagebrushartcenter. This project is supported in part by a grant from the Wyoming Arts Council, through funding from the Wyoming State Legislature and the National Endowment for the Arts. 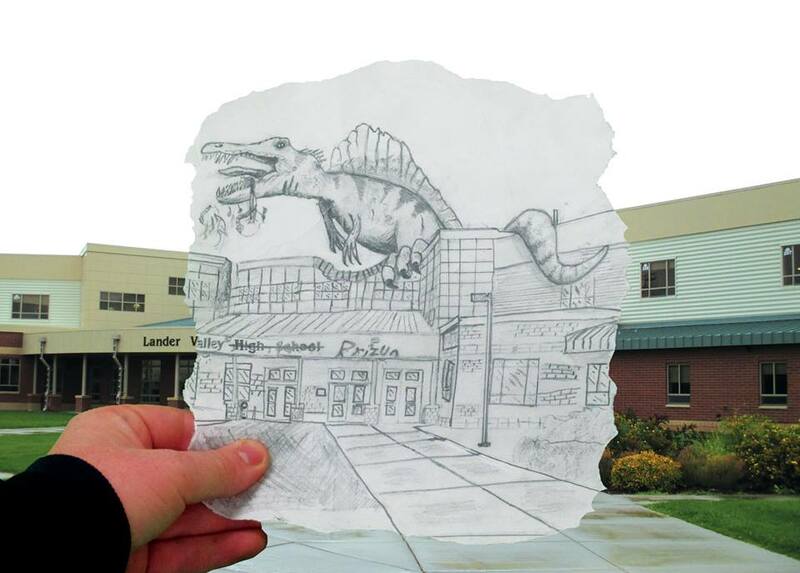 In celebration of March’s Youth Art Month, the Lander Art Center will once again host Lander Valley High School and Middle School Select Art Show opening next Friday, March 6th. This exhibition displays selected works by local youth artists in a wide range of art mediums such as drawing, painting, pastel, mixed media, ceramics and digital art. The Student Select Show remains a favorite in the community as it showcases the incredible skill and creative expression of young students. Their work is a reminder of the freshness art can embody and be an inspiration to us all. Students are lead by Middle School instructor Melissa Scherr; High School art instructors Jason Dayton, Shawna Pickenpaugh, and Zach Even. A public reception will be held next Friday, March 6th from 6-8pm at the Lander Art Center. Lander Art Center openings are free and open to the public. Complimentary drinks and appetizers are provided. Thank you to this year’s exhibition sponsor Lander Valley Education Foundation for their continued support of this show. FREE Admission, 6:30 PM Gryphon Theatre in the Laramie Plains Civic Center – and YES, there will be BEER to purchase! Come see Laramie’s talented Irish dance community – from six to pushing 60! — performing! 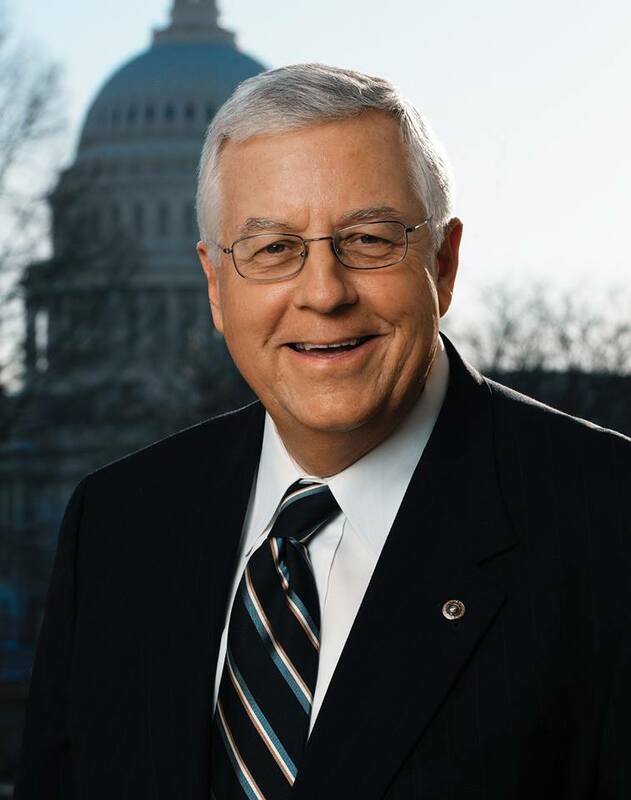 Senator Enzi Page Program – Deadline March 5! Click the picture to connect with our website & preregister for the Laramie Bridal Expo February 15! – U.S. Senator Mike Enzi, R-Wyo, is encouraging Wyoming high school students to apply to be a Senate page for one of the summer sessions in Washington, DC. The deadline for summer applications is March 5. Summer page eligibility is limited to high school students who have completed their sophomore year and will be 16 or 17 years old on or before the date the session begins. Applicants must have a minimum grade point average of 3.0. The summer session is split into two. Summer session I is from June 8 – June 26, 2015. Summer session II is from July 7 – August 7, 2015. The application due date for both sessions is March5. Applications and additional information can be found by going to www.enzi.senate.gov. Further questions can be directed to Dianne Kirkbride in Senator Enzi’s Cheyenne office at 307-772-2477 or Dianne_Kirkbride@enzi.senate.gov. Click to connect and preregister for the upcoming Laramie Bridal Expo, February 15 at the Albany County Fairgrounds from 12-4 PM!